Moseray Fadika was a keynote speaker at yet another event Friday, Aug. 5, when he felt ill and was rushed to an emergency room. The man would die later that evening at the Royal London Hospital, in Whitechapel, east London. The cause of death is still unknown. Fadika’s sudden loss has sent shockwaves through Sierra Leoneans online, across the small West African country and around the world. Frost Illustrated, a weekly newspaper in Fort Wayne, Indiana, described the popular businessman-philanthropist turned politician as one of the wealthiest men in Sierra Leone, who built his fortune in extractive industries. Sierra Leone is rich in mineral resources. Diamonds, gold, bauxite, rutile and iron ore are known to exist in large quantities. Fadika never made Forbes Africa’s wealthiest lists, and no one knows just how much he was really worth. But by some estimates, he could have been Sierra Leone’s own Aliko Dangote, the richest man in Africa with a net worth of &15.8 billion. 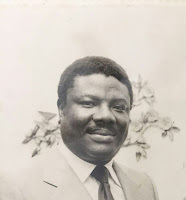 The family of Dr. Joseph O. Findlay says the onetime director general of the former Sierra Leone Broadcasting Service died peacefully at home Sunday, days before his 81st birthday on Tuesday, August 8, 2016. Findlay worked at the public radio and television station for 27 years before retiring. He was an alumnus of the Christian Missionary Society (CMS) Grammar School in Freetown and Fourah Bay College, University of Sierra Leone. He also earned a Diplom Publizistik from University of Munster in Germany, a bachelor’s degree and a diploma in education from the University of Iowa, and a doctoral degree from Pacific Western University. President Ernest Koroma met newly-elected members of the Sierra Leone Bar Association this week. Keeping with tradition, Sierra Leone's top lawyer, Attorney General and Minister of Justice Joseph F. Kamara, introduced representatives of the lawyer's association to the president of Sierra Leone at State House on August 2, 2016. President Koroma assured the association of government’s support in strengthening not only the Bar, but also the legal profession and the judiciary. The president also reiterated his commitment in improving conditions of service of the judiciary as well as access to justice for the poor and underserved. Commenting on the improvement of court rooms, President Koroma proposed that the executive should come up with a design for a new court building as a way of moving court activities from the crowded Central Court building in Freetown.